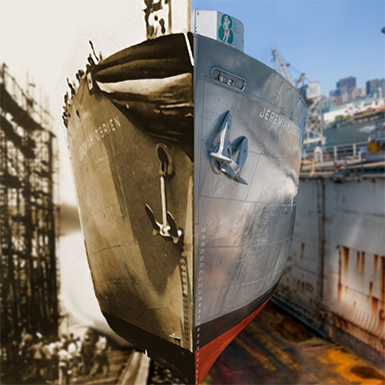 National Liberty Ship Memorial, Inc. The O'Brien is a living, sailing ship that is a memorial museum to the men and women who built, sailed and protected the 2,710 liberty ships that carried troops and goods to Allied forces during WWII. The ship relies on the generosity of people like you to keep her afloat. Your donation ensures the O’Brian can continue as a living ship and memorial to the men and women who built and sailed her. National Liberty Ship Memorial, Inc. has partnered with Network for Good to securely process your online credit card payment via Network for Good (tax ID 68-0480736). This transaction will appear on your credit card statement as "Network for Good." This transaction is subject to Network for Good’s Privacy, Security & Disclosure Statement and the Charitable Solicitation Disclosure.